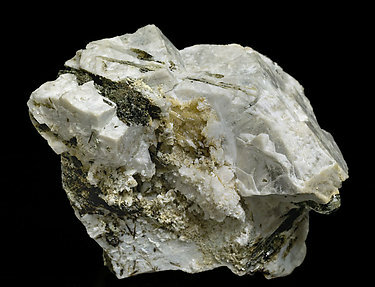 Aggregate of very flattened crystals of Sabinaite. They have a clear cream color, they are bright and on matrix, with Analcime and Aegirine. The sample is with a label signed by Ann Sabina, in whose honor the species was named.